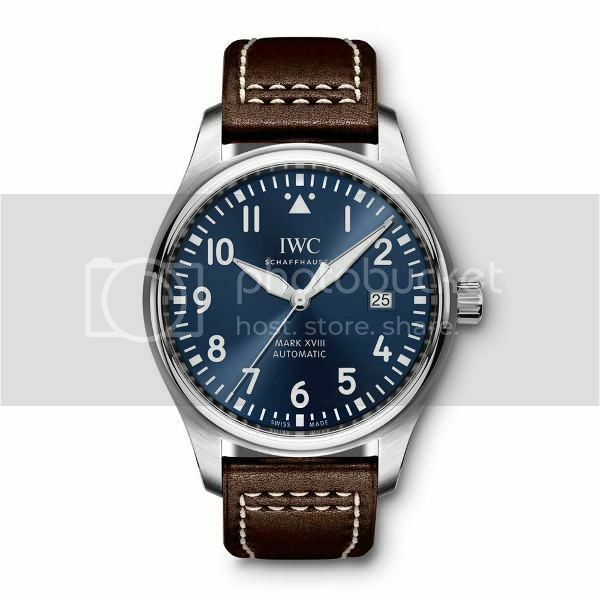 TimeZone : IWC » IWC Mark XVII vs Mark XVIII Le Petit Prince? So I've been looking for the Mark XVII Le Petit Prince for awhile now, but with no luck. I really like the look of the blue face on a bracelet, and thought it'd be a great daily wearer (btw, if anyone's selling, I'm still interested). Imagine my joy when they announced the Mark XVIII version! 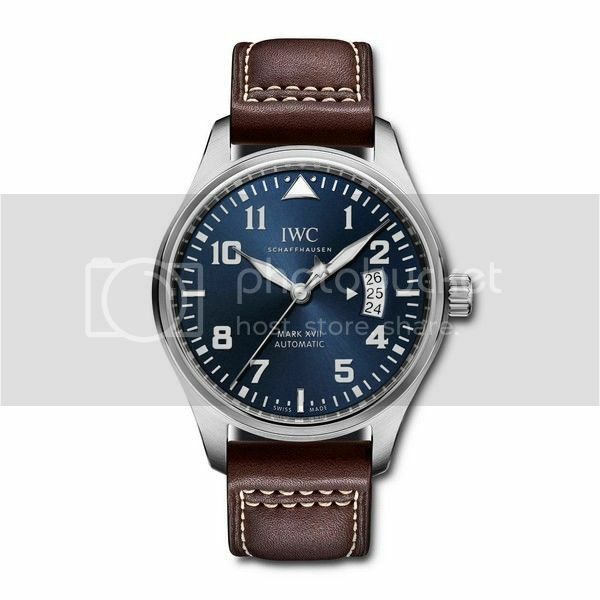 The IWC boutique says the new version will not be a limited edition and will be priced the same (or about the same) as the regular Mark XVIIIs. I was curious which version people liked more. On the Mark XVII, I like the star on the seconds hand. I'm still deciding whether I like the stylized numbers and the date layout on the older version, or whether I would prefer the more simple numbers/date on the new one.